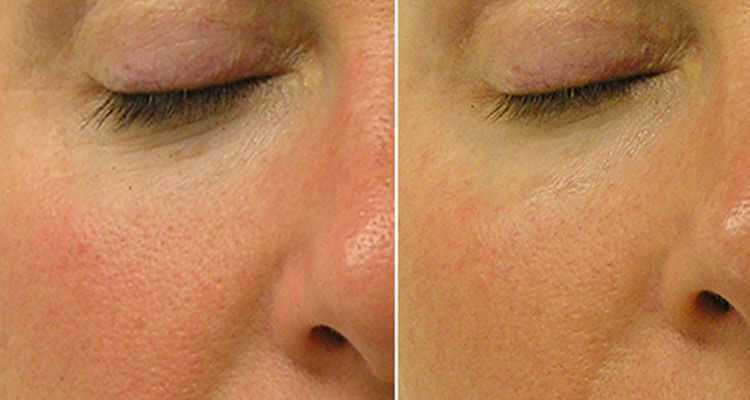 Even patients with sensitive skin (such as rosacea) can benefit from just one Aqua Resurfacing treatment. Aqua Resurfacing is performed using a vacuum based exfoliation tip that is loaded with a cocktail of serums, including antioxidants and hyaluronic acid to hydrate the skin and combat skin issues. This is the only procedure that combines cleansing exfoliation, extraction, hydration and antioxidant protection all in one. Aqua Resurfacing improves the overall skin health while also reducing fine lines and wrinkles, and improving the elasticity and firmness of the skin. Your skin will feel completely rejuvenated after Aqua Resurfacing! You’ll notice your skin products will have more noticeable effects and penetrate more quickly, while your makeup will go on smoother without settling into fine lines or pores. Having a series of Aqua Resurfacing treatments is best as the results are cumulative and you’ll see improvement in fine lines and wrinkles, acne, skin tone, texture and overall skin health. *Patient before and after 3 Aqua Resurfacing procedures.